Confession time - up until very recently, I didn't know the difference between manga and anime. (For anyone else reading this who is unsure of the difference, anime is an animation whereas manga is usually a comic or graphic novel). My tastes are usually pretty varied when it comes to entertainment (for instance, just look at the sheer variety of books I read and genres of music I enjoy) but when it comes to film and TV, there are certain genres that I know I enjoy and therefore don't often stray from. When we first got together, my partner and I adopted an unofficial policy of taking it in turns to choose TV shows to watch. Among others, we made our way through Game of Thrones (my choice), Scrubs (his choice) and Firefly (my choice). Until for his next choice, he picked Full Metal Alchemist: Brotherhood. Prior to watching Full Metal, I had never seen an anime before. I had absolutely no idea what to expect, nothing in the same genre to compare it to and certainly no initial preference when faced with the 'sub or dub' question. However, although I quickly got informed that it is an entirely different thing to anime, I have previously dabbled with manga. As a child, I absolutely adored W.I.T.C.H. I began collecting the books (before quickly running out of money) and bought as many issues of the magazine as I could afford. I loved the girls, I loved the idea and the storyline, and above all, I loved the artwork. I would read the books and magazines and do my best to replicate my favourite scenes in black pen and felt tip. Much later in life, I dipped my toe into the world of manga once more when I borrowed volume one of Bakuman from my then-boyfriend. I passively enjoyed the story and liked the concept of it being a manga about manga, but it was far from my favourite read. Apart from those few incidences, I was completely in the dark about the entire world of manga and anime... Until we began watching my first ever anime. Full Metal Alchemist is widely regarded as the 'perfect' anime, making it the ideal choice for my first foray into the genre. As one of the best animes out there, Brotherhood was probably a good choice to get me into anime! 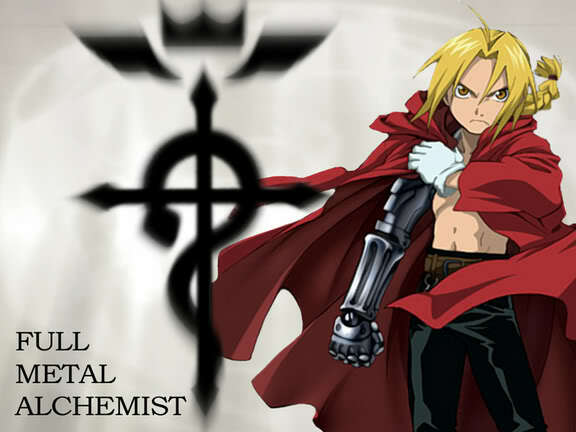 Full Metal Alchemist: Brotherhood tells the story of two brothers, Edward and Alphonse Elric, who (as the title suggests) have the powers of alchemy. After a misguided attempt at alchemy goes wrong, the story follows the brother's journey to find a way to restore order and reclaim what was lost. Along the way, the pair find themselves caught up in the crossfire of a much bigger power play and must use every ounce of their alchemical studies and knowledge to join forces with their allies and emerge victoriously. Despite my initial misgivings, it only took a few episodes before I properly got into the story. With my partner as my trusted guide, anything I didn't get was immediately explained to me and it wasn't long before I was well and truly hooked - as we neared the end, we were watching it every night! The story had everything that I look for - likeable yet flawed characters, three-dimensional villains, complex relationships, a cracking storyline and a healthy dose of magic! From the world-building to the artwork, near enough everything about this anime was flawless. Although it took a while to adapt to the cultural differences and customs associated with anime, watching Full Metal Alchemist: Brotherhood was an experience that was certainly worth it. If you're looking for something a little different to binge on Netflix, give it a go - you will be hooked before you know it! Plus, if you need a little something to sweeten the deal, Brotherhood has an absolutely outstanding soundtrack (Period by Chemistry is my personal favourite). Are you an anime fan? 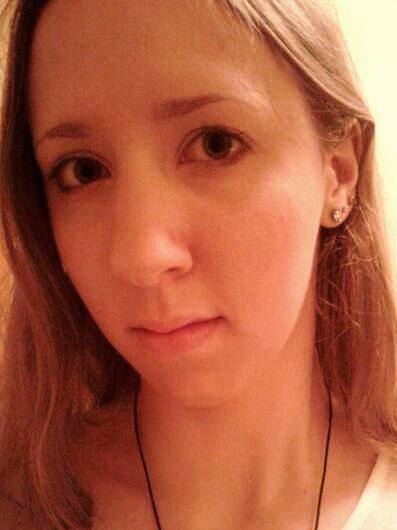 Have you seen Full Metal Alchemist: Brotherhood? Let me know in the comments below!